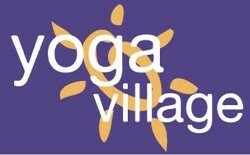 Start taking classes at Yoga Village and other studios! Amazing meditation class . Rita is a phenomenal teacher , I can’t wait to come again . Dana is amazing! I come to yoga to relax and she definitely helps me with that. Wonderful Nidra class. Alissa is such inspiring energy. Highly recommend if you havent practiced Nidra before (meditative practice). I enjoyed the class. I am not a beginner but I imagine this class would be tough for a new yogi. I got a good stretch and workout out of it! The instructor came across as kind of robotic and the cues were very repetitive. There was tons of talking but not very many poses. Didnt find it relaxing. Monica is a great communicator. She lead a wonderful class. Mae is an awesome instructor with great energy! I really liked this class for the stretch after a hard workout week. Instructor was a little low energy and hard to follow.